Michael Nash Design, Build & Homes is currently at the limelight of providing award-winning and community-approved bathroom remodeling services in Fairfax, VA.
Michael Nash Design, Build & Homes is currently in the limelight of providing award-winning and community-approved bathroom remodel services. A lot of their bathroom projects were awarded and recognized several times. 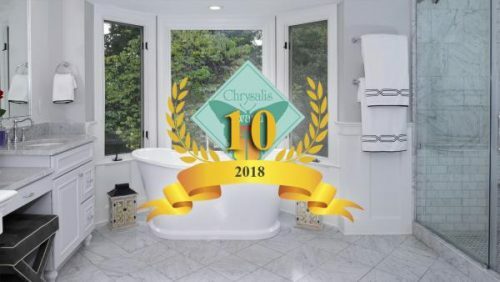 Some of the awards they received were from the most prestigious organizations such as Chrysalis, National NARI, CotY, Professional Remodeler, Houzz, NAHB, Pulse of the City, NKBA, Professional Remodeler Magazine, and Sun Gazette. Also, their work has often been featured in local, regional and national newspapers and magazines. They have been in the industry for more than 25 years now, which only proves their efficiency and excellent performance in their craft. In fact, the company operates very well in the business with their efficient and sincere solutions to clients’ varying remodeling dilemma and needs. This is due to their dedication to help the community of Fairfax own the living spaces of their dreams. Michael Nash Design, Build & Homes has been operating in the line of home remodeling, kitchen remodeling, bathroom remodeling, home additions and extensions, basement remodeling, major renovations, new custom homes, outdoor living services, custom garage and screened porches. Sonny Nazemian, CEO/Founder of Michael Nash Design, Build & Homes Fairfax, VA, spoke about its constant success, highlighting on some of the motivations that drove the business to where it is now. Sonny Nazemian also mentioned Michael Nash Design, Build & Homes’ commitment in constant venture to innovation and state of the art solutions which can help boost their overall bathroom remodeling services including construction, design and customer service. Michael Nash Design, Build & Homes is eager to maintain its reputable position as an award-winning and community-approved bathroom remodeler.